Are you tracking your YouTube keyword rank ? 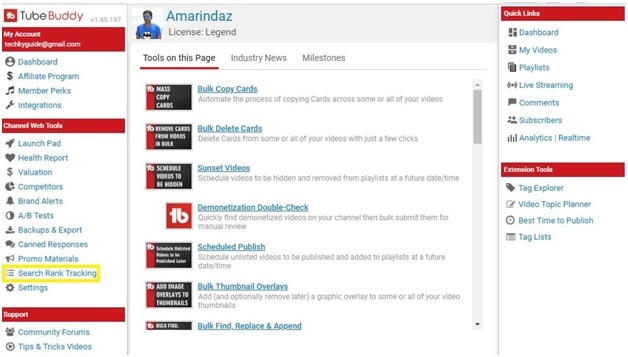 Getting your YouTube videos at the top of YouTube search result, determine the success of your channel. Checking your keywords rank in both YouTube and google search will help you optimize your YouTube channel further. Is there an app for You-tube keyword rank checker ? Of course, yes there is a simplest way to track the keyword position of your videos with an amazing plugin called Tubebuddy. All you need to do is note down the keywords on sticky notes or notepad. If you are really not sure about what keywords you need to track then no worries. Here you go. Go to YouTube dashboard -> On the left side select Analytics -> Traffic sources -> Click on the YouTube search link. These are the golden keywords which bringing views to your channel and these are the keywords that you really need to track. If you want to dig further and find keywords for each video then scroll up from here. You can find text box “search for content”. Click and select your videos or playlist.Now scroll down and see the keywords that bring traffic for the selected video/Playlist. That’s it. Now you have handful keywords and it’s time to track the rank of these keywords. Tubebuddy has numerous features and one such feature is to check the YouTube keyword rank. 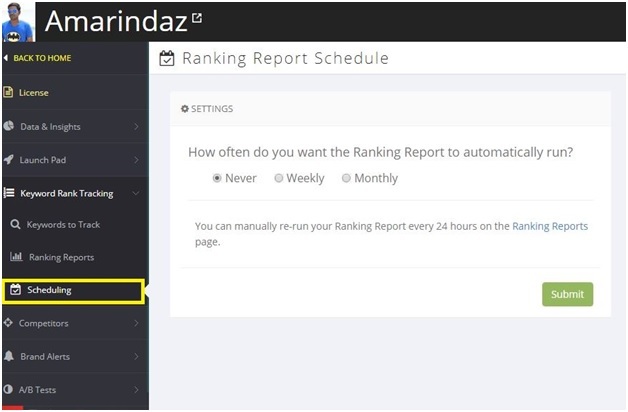 But now we are going to see how to track YouTube video ranking positions for specific keywords. How to check YouTube keyword rank? 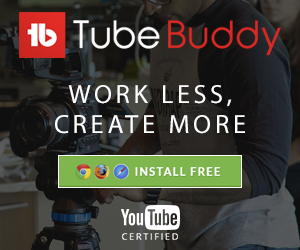 Sign Up and Install Tubebuddy on your chrome browser. Go to YouTube Dashboard and at the top right you can see Tubebuddy icon. Click on it. Under Channel web tools section, select search Rank tracking option. In keyword to track section, click on “add keywords” on the right corner. 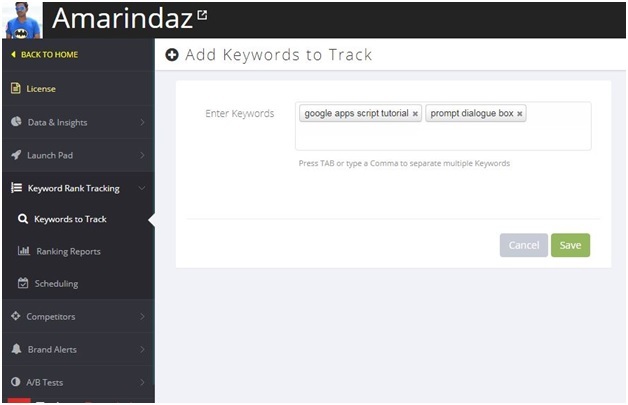 Start entering keywords that you want to track separated with comma, on the dialogue box. Click save to start tracking your keywords ranking on both YouTube and Google. 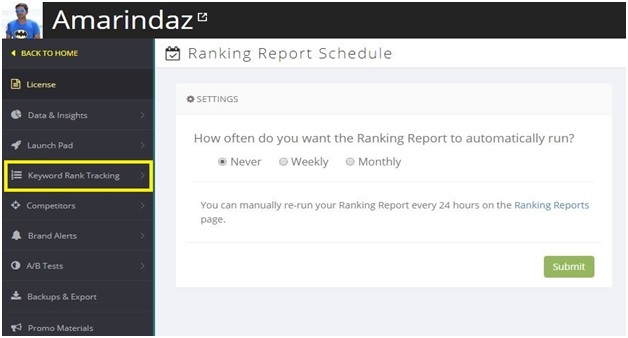 To view the rank of your already added keywords ,go to ranking report section and click view report. Now you can see your result as shown below. For e.g. “Unlock protected sheet” is the keyword that I want to track. The last two column on the right side give you the rank for your keywords on YouTube and google. It’ll show the rank up to 50. There may be chance that more than one video can rank for same keyword and you can see that as well on the ranking report. Green arrow and red arrow indicate the trends of your video for the give keywords. 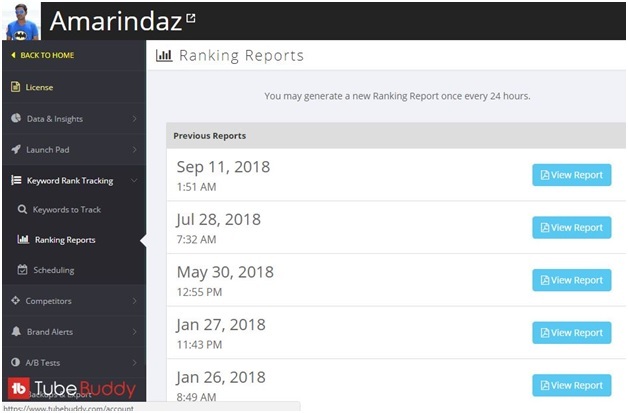 Tubebuddy can check and run the ranking report automatically based on your preference so you can keep tracking the keyword as per your schedule. Note: You can track up to 3 keyword in free version. To track more keywords, you need star level license. Use my coupon code 20OFFAMARINDAZ and save 20%off on paid subscription. 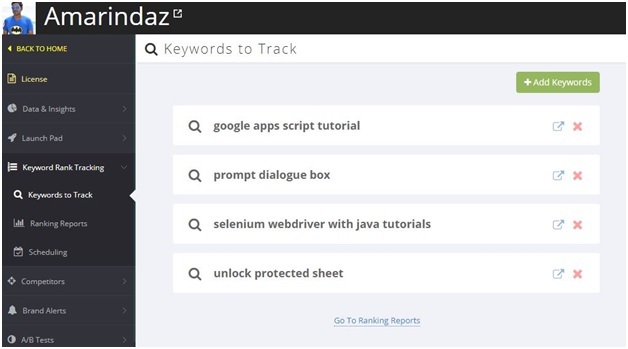 Let me know are you using any other tool to track your keyword ranking?